only then will it be appreciated by people hearing it. is well worth the investment to protect more expensive parts. This is deep. I think I need to go reevaluate my life…and buy a new UV filter. They’re a steal at $25, and I hear they’re well worth the investment to protect more expensive parts. 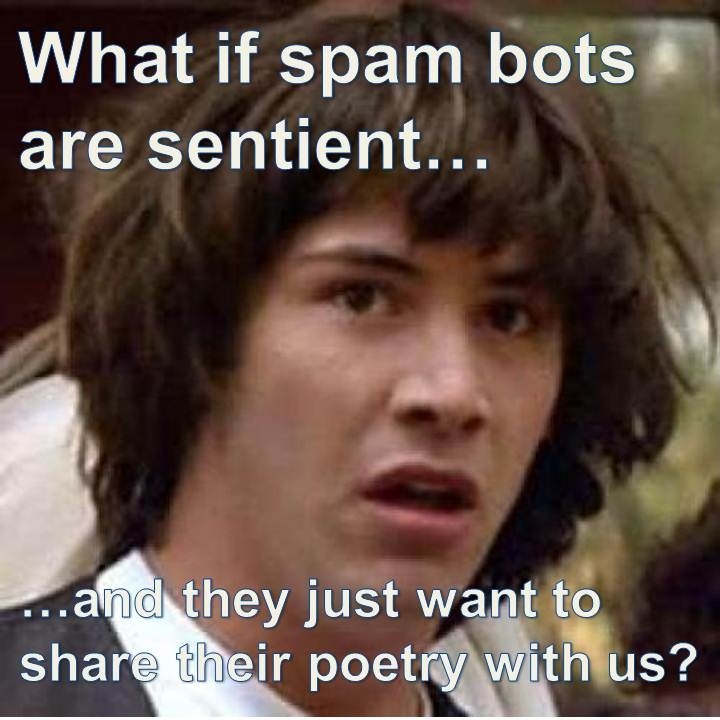 This entry was posted in Fun Stuff, Sarcasm and tagged poetry, spam. Bookmark the permalink.